It’s that time of year again! As much as I hate to see summer end- (especially this year) … it’s hard not to love the chill in the air and the beautiful leaves! Today Craig & I took the boat & jet ski out. Been there, done that. I should have known that look in his eye when he looked at the dock- yes, first time for me for taking out the dock. Barefoot & skinny jeans – and yes the water was cold! At times our feet felt like blocks of ice! 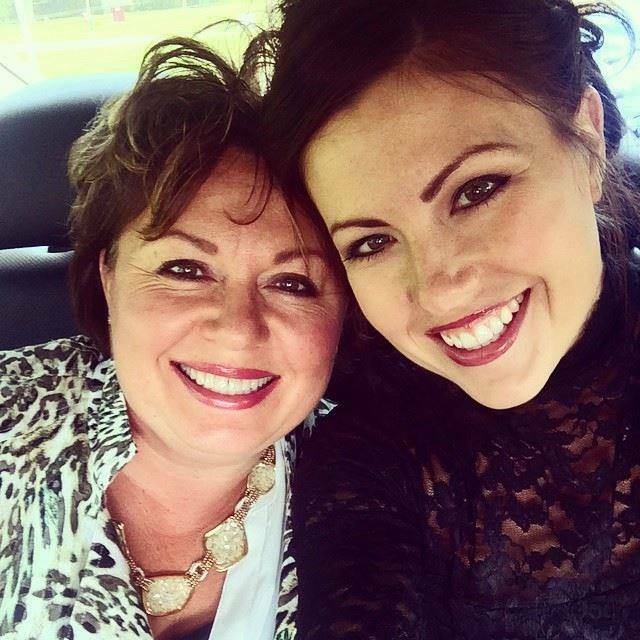 So, it’s kinda weird & scary writing the first post of my blog. I told my Son Tyler that I was worried about that first one – he responded with” it doesn’t really matter Ma, nobody’s gonna read it”. Well, with that said…. I’ll just do my thing. So, after some thought I decided to share with you a page (and a favorite fall recipe) from my very first scrapbooking idea/project. I had a handful of favorite pictures, recipes that I could never find when I needed them, beautiful scrapbooking products & fun fonts on my computer… put them all together and the result was a wipe-able fresh & fun page featuring my favorite pictures & recipes that I completely ADORE !!!! So much so, that I decided to do 10 more “books”. These were tried & true recipes from my Mom & Grandma along with ones I adopted. Knowing that my kids (my sisters, nephews & nieces) would want these same recipes I thought well, I’m already making one page what’s 10 more. These would be great for a shower gift when they all get married. 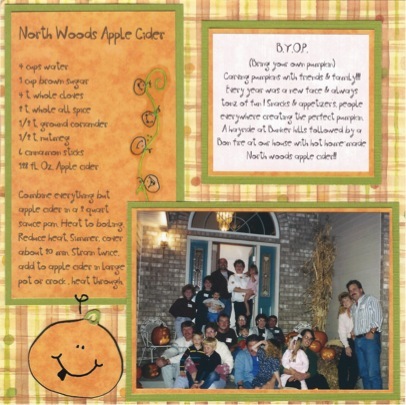 This page features my Northwoods apple cider. The picture is from one of our BYOP parties (bring your own pumpkin). After a hayride we had it served warm by the campfire. This recipe is so good, I make several gallons a year. I only use Indian Summer apple cider and it actually tastes better to me cold the next day.